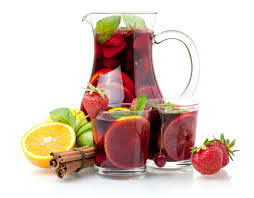 The blood-red color of a Sangria Recipe inspired the name of the beverage which comes from the Spanish word for "blood." But a white wine "base" is also excellent. 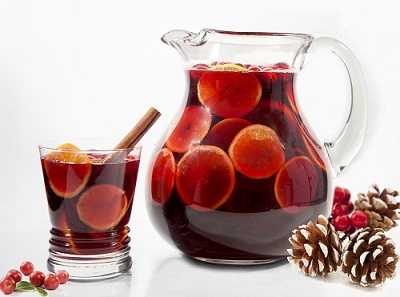 Sangria is a perfect party punch. 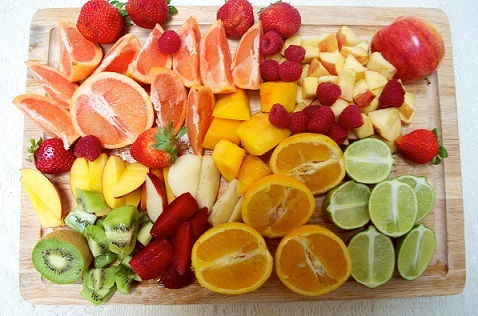 Fresh, fruity, delicious. 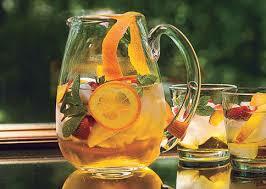 Sangria is made with red wine, fruit juices, fruit slices and often club soda, brandy and triple sec are added. However, it can be made in just about any style you can imagine. There are two recipes on this page to help you get started on developing your own favorite recipe for this refreshing beverage. And every restaurant has its own sangria recipe, too! It is one of the few beverages that is really lots of fun to experiment with. So whatever you do, don't buy a mix at the store - have fun and create your own! The main thing to remember making when your own Sangria is to use a good quality red wine, one that you like and be sure to chill it. The versions I have on this page are served cold over ice and make a refreshing cooler on a hot summer day. However, no refrigeration and no ice for an equally wonderful treat and party beverage in the cooler weather! Not crazy about chilled red wine? 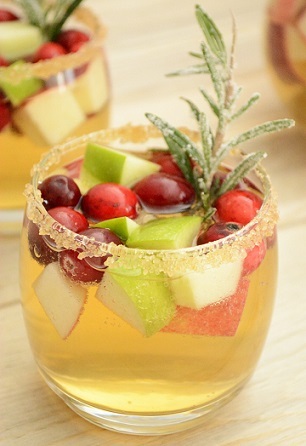 Then use your favorite white wine and create Sangria Blanco (white)! Preparation time: 15 minutes. Serves 2-4. This one is interesting because, unlike most sangrias, it can be served almost instantly without being refrigerated overnight. 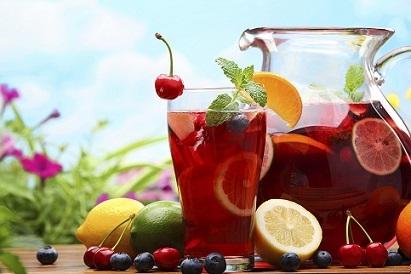 Enjoy your Sangria and the company of those you share it with and have fun creating your own favorite version! "It is best to hide ignorance, but it is hard to do this when we relax over wine."